For anyone that uses custom icons on their Android devices, I am sure you have heard the name kovdev mentioned before. They are the creators of the popular Tersus and Lustre icon packs that you have probably spotted on this site a few times. Well, with display resolutions going up, kovdev are currently working on updating their icon packs to work well with the new displays. The first to receive this HD update is Lustre, and we have 10 copies of the icon pack to giveaway. Each individual icon has been upscaled, by hand, to XXHDPI for the ultimate clarity. Ready to win one? Update: We have emailed our 10 winners! Thanks for entering, folks! Tell us below in the comments section the number one reason you love the Android OS. At around 6:15PM PST (after tonight’s Droid Life Show), we will pick our 10 winners and email them. 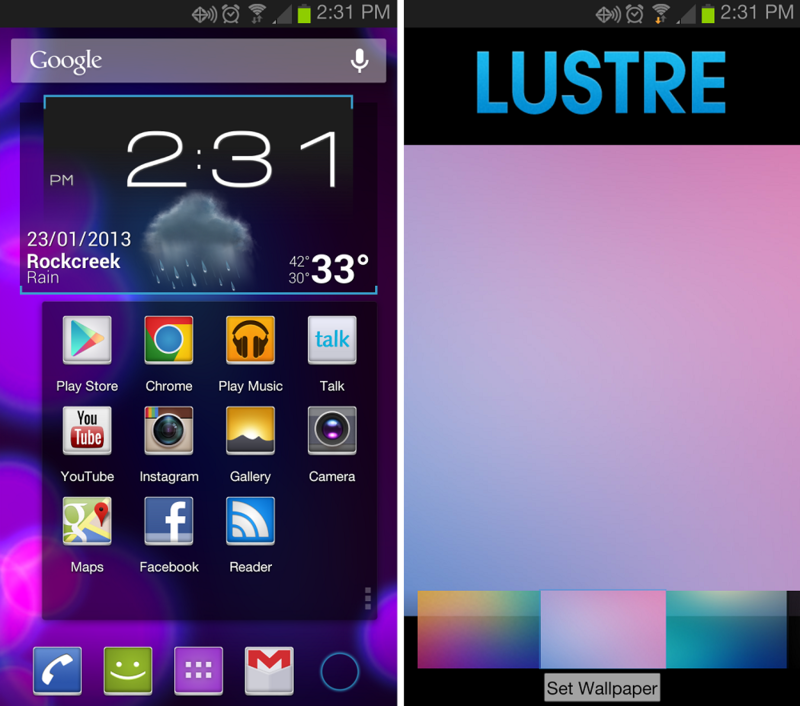 If you want to check out the current Lustre app, you can find it on Google Play for $1.50. Inside there is a great selection of wallpapers that compliment the icons nicely. In general, it’s a great and easy way to change up the look of your device. Thanks to kovdev for hosting the prizes!